Similar to the old Route 66 that wound from the heart of the United States in Chicago to the west coast and captured some of the best of what America has to offer, the Ben Vee Roadhouse 66 song list meanders world wide from Africa to Europe to North and South America.. on then to Australia and up to Asia capturing the best blues songs of 2018. The roadhouse blues is situated at the crossroads of the blues and rock genres so there are plenty of upbeat tunes and a number of belly grinders on the list. The selection includes 15 female singers..a dozen blues rockers...several roots blues tunes and numbers of hot contemporary blues recordings...I hope you download and enjoy listening to all the songs!! As a DJ, in 2018 I played over 200 sets and 500 hours of blues music or roughly 6,000 songs for listening audiences. On my 24 hour Roadhouse blues stream, I streamed thousands more. Picking the best 66 from my broadcasts was both a labor of love and a huge challenge. The position of the songs on the list is of little consequence...you might list them in a different order or include ones that I didn't. 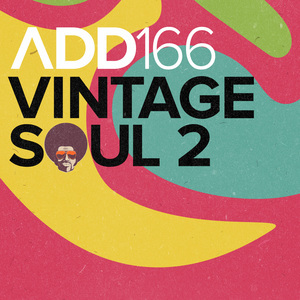 The important thing is that these 66 tunes are a "top shelf" sampling of a vibrant and growing contemporary blues market. Don't let ANYONE tell you that the blues are dead or dying!! I encourage you to turn your friends on to songs on the list and help spread the news that, as Buddy Guy said on his latest album, the blues is alive and well!! New Band, New Songs, New Album!!! Island Grooves / The Natural Mystics featuring some of Antigua’s most talented musicians, brings you Reggae, Dancehall, Soca, Zouk, Calypso and good, good vibez from the Caribbean. John Bates: Drums: When the Nighttime Turns to Day / Why Don’t You Treat Me Right? It’s with the heaviest of hearts that we announce the passing of another bandmate, in Antigua on December, 27th, 2015. Winston Sylvester Riley "SHUGZ". He was a best friend, incredible musician and sweetest human being you could have ever met…thus the name... “SHUGZ”. New Single: Who's Gonna Take Care of Lucille? This song is a tribute to the "KING of THE BLUES", B.B. King and his beloved guitar, Lucille. I'm grateful to have met BB a few times over the years and talk with him about her. BB and Lucille...a beautiful love story! More Critical Acclaim for "Winds of Change"
"Winds of Change is a refreshing bath of acoustic pop, and the 13 tracks it contains flow effortlessly, making your feet stomp uncontrollably and your spirit fly high." "...this is one of the finest recordings of acoustic pop I've ever come across." "...there’s a sense of realism that pervades the tracks, as if the band was playing right in front of you." Read the full review at TNT-Audio. Work of Art, "Winds of Change"
A stunning recording of a great band, led by Art Halperin. It's mostly acoustic, and Halperin's infectious tunes are performed with real joy. The title tune, "Wind of Change," is next to impossible to get out of your head. It's the sort of album that's easy to get into, and one you'll keep in heavy rotation. I listened to the CD, but "Winds of Change," is also available in high-resolution formats. Audiophile label proves less is more on this recording! Soundkeeper Recordings is trying to make a statement with their engineering technology. The ultimate goal is to capture musicians organically, without the enhancements of multi-tracking or overdubs. In essence, a live performance is being reproduced with “average” volumes directly to stereo. Dynamic compression is not utilized. According to founder Barry Diament (who worked at Atlantic Records), musical balance is achieved by physically moving the instruments and players. Accordingly, acoustic-friendly venues are selected for the artists. The formats include CD-R, DVD-R, 24/96 files-on-disc DVD-R and 24/192 files-on-disc DVD-R. Soundkeeper does not offer downloads. The latest release from Soundkeeper is Work Of Art’s Winds Of Change. Recorded at Christ Church in Sparkill, New York, the 13-track DVD features songs by guitarist/vocalist Art Halperin. He is backed by a cadre of guitars and other stringed instruments. The opening title track captures the warmth and pristine resonance of the session. An up-tempo folk/pop song (four line verses and four line chorus) features a lot of guitar and is bathed in glowing backup vocal harmonies. There are different arrangements to take advantage of the talented band. “Tomorrow We Will Never Know” takes on a folk waltz with a nimble mandolin touch at the end. Halperin has an effective reedy tenor (a la Arlo Guthrie), and displays self-assurance and range. On “My Love For You”, there is an eloquent a capella intro before the song adopts some rockabilly vibes. There are usually some unexpected chord changes that make the songs interesting. The harmonic singing style is reminiscent at times of The Everly Brothers, especially on “September Nights”. In the simplified aural landscape, the instrumentation has a lot of texture and nuance. There are guitar echoes and fades with occasional modulation. There are festive numbers (“Nobody Knows”) that are accessible, but have elements of spontaneity. 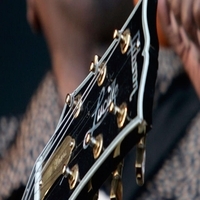 The guitars have rich tonality and surround the melody on “I’m Not Sure”. Shifting instrumental gears, “Another Day Without You” approximates traditional folk structure with a dynamic opening and accelerating tempo. Jaunty blues infuse “Singing It For You” with a festive vibe in the manner of Eric Bibb or ‘Keb ‘Mo. The New Age context of “Going Vegan” is transformed by a Latin (almost calypso) undercurrent. Everything feels like a live performance. The final cut, “On My Way To You” has an “encore” vibe with its high energy and tempo breaks. Winds Of Change is fresh and engaging. The core musical sensibility that Work Of Art comprises is palpable in HD. All of the guitars (acoustic, electric, pedal steel and mandolin) emit an inherent glow, like 180-gram vinyl. This is bona fide audiophile recording. ...Equally astounding is Soundkeeper’s exploration of Americana in the pop styles mined in the urbane and bright-hued music of singer, songwriter and gifted musician Art Halperin, and his band Work of Art. It's here! 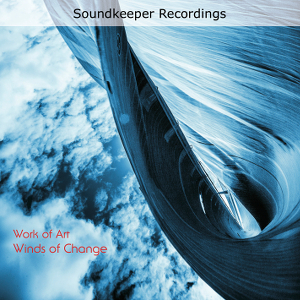 The latest Soundkeeper Recording, Winds of Change by Work of Art. Get 1¢ shipping on any of our CDs Dec 1 – Dec 3! The new “The Natural Mystics” album is coming along but probably won’t be released until 2015. Thanks for staying in touch! Love to all from all of us. New album: "The Natural Mystics (Remastered)" is released on iTunes today. The CD's will be available for purchase early October. This is a remastered version of the original "The Natural Mystics" album, with 3 new bonus tracks. The first bonus track features Claudette 'CP' Peters singing with Art on a powerful cover version of the the Who's classic song, "Love, Reign O’er Me"
It’s with a heavy heart that we announce the passing of our good friend and band mate, Charlesworth “Obadiah” Sebastian. He was a talented musician, amazing father, loving husband and a true friend. Obadiah leaves behind seven children – five girls, two boys – and wife, Ambrozine. We love him and we will miss him deeply. New CD! New Band! New Gigs! New Site! New Year! "The Natural Mystics" debut album is completed and available on both CD or MP3 download. Check out some of the new tunes in the audio player.